Back in February, we talked about the oldest known song in the world and how these ‘Hurrian hymns’ originated from ancient Syria. But unfortunately this antediluvian musical composition (entailing a series) was found in a rather incomplete form. However on the brighter side of affairs, historians have come across the world’s oldest (known) complete song – and this musical piece (in its entirety) was etched on the so-called Seikilos epitaph. 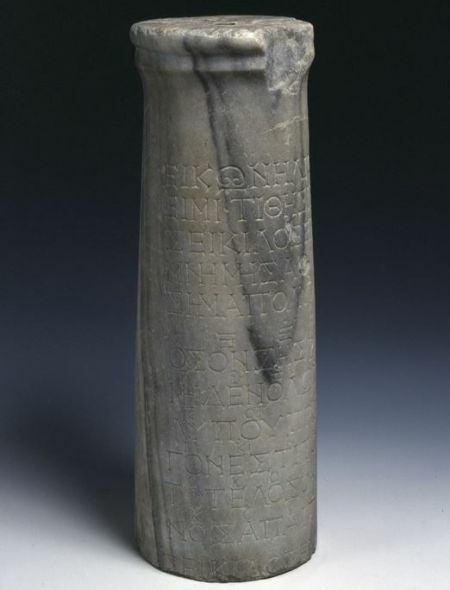 Judging by the ancient Greek characters on the inscription, the song is Hellenistic Ionic in origin, and the etching was probably made sometime in the 1st century AD. Originally discovered way back in 1883 by Sir W. M. Ramsay in Tralleis, a small town near Aydin (Turkey), the epitaph according to some stories, was lost again, to finally reemerge after the Greco-Turkish War of 1919–1922, due to its rediscovery in Smyrna in 1923. And interestingly, the region of Aydin has had a long tryst with human civilization in its flowering form, so much so that Aydin in itself translates to ‘lettered, educated, intellectual’. Consequently, the archaeological site in Tralleis boasts many cultural artifacts from human history, including theatrical masks that were symbolically arrayed alongside human burials. This lyrical part is also accompanied by a poignant inscription that takes narrative of the epitaph itself – “I am a tombstone, an image. Seikilos placed me here as an everlasting sign of deathless remembrance.” In any case, as opposed to the aforementioned Hurrian Hymns (the oldest known song in the world), the Greek composition on the Seikilos epitaph is complete – and thus is less open to interpretation. Simply put, there is more chance of hearing the originally ‘intended’ rendition of this Ionic song, even when recreated in our modern times. 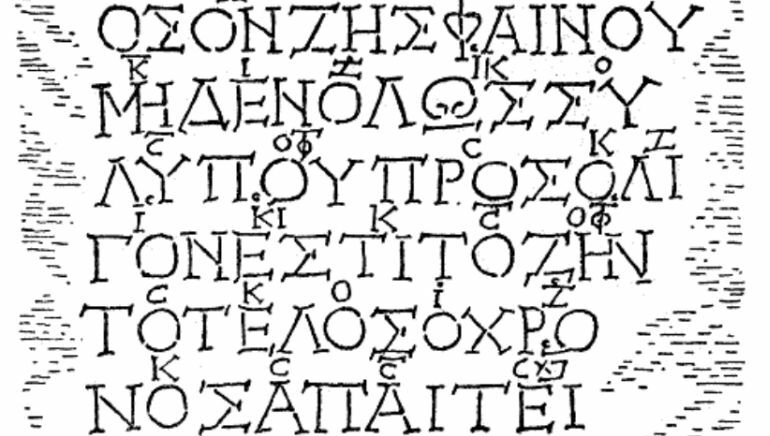 So without further ado, check out the enchanting ‘Song of Seikilos’ – the oldest known complete song in the world. Music researcher Michael Levy has provided his rendition of the song in ancient lyre, without singing. Ancient Egyptian receipt shows money with weight of over 230 lbs being paid in tax!